OneDrive for Business Or SharePoint Team Site? Which One Should I Use? 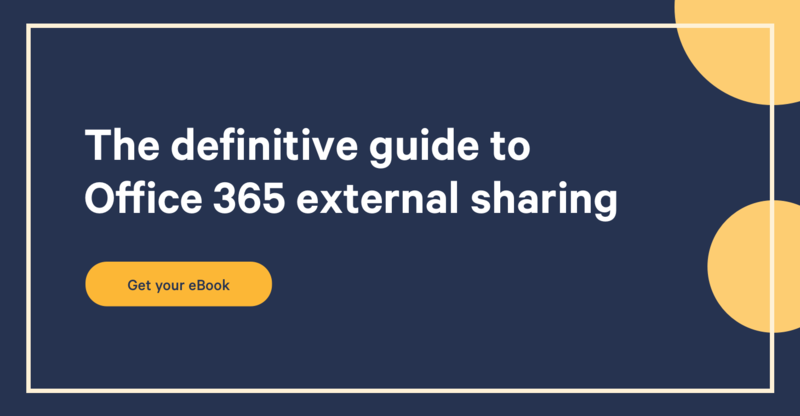 It's not unusual to question where your content should be stored in Office 365 or SharePoint On-Premises. It seems these days that you can store your content almost anywhere, but rarely do we realize the impact of our decision. When you're working with SharePoint, you often have to decide between two places to store your files and that's either OneDrive for Business or SharePoint Team Sites. This infographic will try to help you decide between the two. When Should I Use OneDrive for Business? OneDrive for Business is meant to be your “me” place at the office. Basically, if you're trying to compare it to your File Shares, it could be thought as the new “Home Folders” for users or the new “My Documents”. In terms of technology, it's often mistaken as just a Sync tool or the new SharePoint My Site, but that simply isn't all there is to it. OneDrive for Business really is a brand that tells the end user that this is the place you can go to for your files at work, wherever they are. Yes, you get a personal document library, but you also get an offline sync engine (recently updated), a way to see the files shared with you as well as recently worked on and it also helps you see your Team Sites and their files. But when we're thinking about storing files in our OneDrive for Business as a user, we often think about the Personal Document Library within it. What documents go there? Anything you're not sure should be worked with a team yet or really anything you want to keep sole control over before it moves on to a Team Site. Not to forget that the OneDrive for Business document library is a lot more limited than the more advanced SharePoint Team Site library. You won't be able to create metadata or assign workflows either. Use your OneDrive for Business personal library for the “Me” part of your work, before it moves on to SharePoint Team Sites for the “We” part of the work. When Should I Use A SharePoint Team Site? The SharePoint Team Site is meant to be the “We” part of the work for you and your team. In this location, the file isn't owned or associated to one user, but rather the team itself or the Team Site if you will. SharePoint Team Sites are a robust solution for enterprise content management, while delivering a simple to use web experience. Within a Team's site, they can create multiple lists and libraries to store their content as well as enrich it with metadata and more. There are also many features we don't find in the personal library of OneDrive for Business, such as workflows, custom views and more. Documents that are owned by the team or project should be stored in your Team Sites. And of course, sometimes documents will first be created in your personal document library and later moved to a Team Site when it grows into a project for example or when more people need to work together on the file. Use Team Sites for the “We” part of the work and require more advanced content management features for your files.